STORIES have always been used to soothe troubled minds, illustrate new possibilities and simplify complex explanations. Although they're often used these days for entertainment, they're so much more than that. 'Story therapy' is a natural and powerful method of creating change. Why? Well, because regardless of who your listener is, the right tale at the right time rises above the criticisms and arguments of the conscious mind to settle gently among the fertile fields of the unconscious mind, where it can germinate and grow new ideas and understandings. 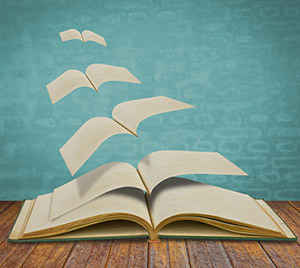 Tips for enhancing your own storytelling skills. You will enjoy Rob's use of traditional instruments, his many voices and consummate storytelling ability. This is an excellent resource for a therapist wanting to add another 'tool' to their therapy toolkit. Rob's stories come from cultures all over the world, some stories are contemporary but most are centuries old. One of the delights in listening and telling these stories is marvelling at how a story created so long ago in a completely different culture can help a client suffering today. The Enchanting Bird: This story metaphorically gives clients a helpful way of working through concerns. The Noisy House: This story can be used therapeutically for anger management, concentration development, chronic pain, motivation and more. The Old Mill: This story is very good at exploring the mind body connection. The Tiger's Whisker: This story about taming a 'wild thing' can be used to explore how to control a client's feelings, or someone else's behaviour. The Wise Minister: Suggests to a client the need for a balancing factor in life. The Other Island: Reinforces the need for values other than strictly material ones. Good Luck/Bad Luck: This story challenges the 'catastrophizing' mindset and black and white thinking styles so common in people suffering from depression and anxiety. Sindbad and the Old Man: The metaphor in this story is very resonant to people suffering from addictions, as it helps drive a wedge between habitual behaviour and personal identity. Powerful Stories - Storytelling Trainer CD is only available as part of our How to Lift Self Esteem in Your Clients course. Click here to find out more and sign up to be notified when it's open for booking.